Let the Military protect your Monitor! All Images can be used as your Desktop Wallpaper. 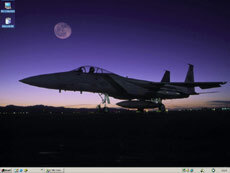 Protect your monitor with photos of Military Helicopters. You'll see the Huey,the MI-24 Hind, the Apache, the Comanche and more. Includes a total of 69 pictures. Sell our Screen Savers right from your own website! And best of all, you'll earn a portion of each sale that your website receives! You sign up, your account is created and your links are created instantly. You make money when you make sales. You will have your own real-time reporting pages so that you can see your account balance anytime. From these pages, you will be able to add and remove products you wish to sell. You can sit back, watch the sales come in, and receive your commission checks. It's really that simple! Check out our monthly Specials. Order now and save up to 25% over the regular price.